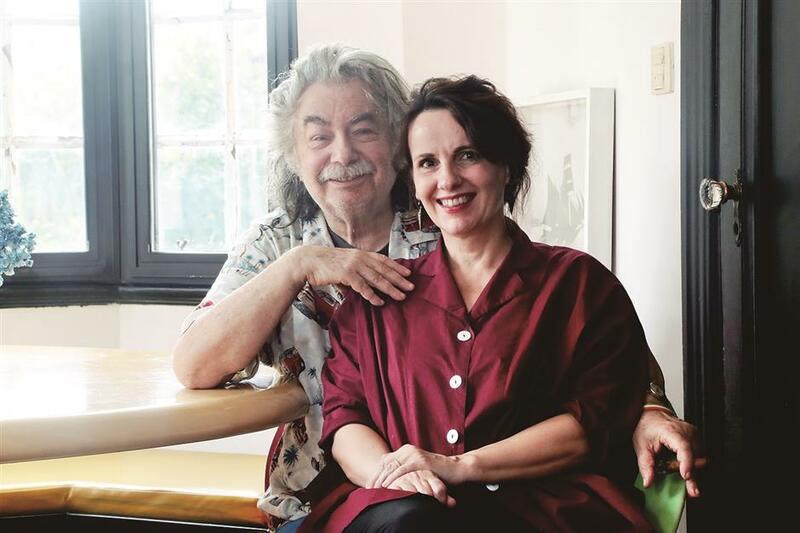 When artist Dubravka Vidovic and her husband Luigi Ciocca were offered a chance to live in a 1920s apartment in the center of Shanghai, they jumped at it. The living and dining rooms feature selected furniture and accessories from the couple’s Milan home to reflect a boldness of spirit. Given the opportunity to live in an old apartment surrounded by Chinese locals, many expats would be daunted by the “authenticity” of the local environment and cultural difference. But when artist Dubravka Vidovic and her husband Luigi Ciocca were offered a chance to live in a 1920s apartment in the center of Shanghai, they jumped at it. “We didn’t want to live in those fake Mediterranean villas in a place like Shanghai. We prefer living in a Chinese space with Chinese people in our community so we can feel in a real place. This apartment brings us back to a fascinating moment in Shanghai and its old world charm fascinates us,” she said. “Also, I love houses with abundant sunlight. I always look at the views of beautiful trees from the home windows. So the first time I visited this apartment was a pure, great feeling and we didn’t hesitate to rent this flat. And then the location in the heart of Shanghai helps us to live in the city in a more convenient, relaxed way as we don’t need to face the daily traffic issue,” Vidovic said. The couple settled in the neighborhood on Shaanxi Road S. and became rare foreigners surrounded by local neighbors. 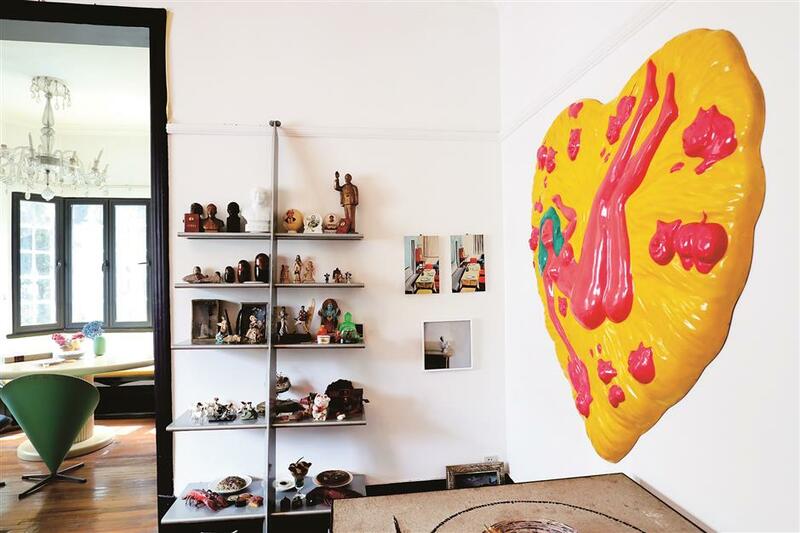 The charming home space gives full rein to the couple’s artistic instincts. Vidovic, born in Croatia and dividing her time between Shanghai and Milan, is a visual artist who uses a variety of media such as photography, installation, video and archives. Ciocca is a design consultant for many top brands, especially in Japan and Italy. “The existing situation was pretty ideal when we moved in. We didn’t change much of the layout and basic foundation. We simply brought selected furniture and accessories from our Milan home to reflect a boldness of spirit,” Vidovic said. The couple’s years spent in the design and art industry provided a good opportunity to collect and collate objects from some of the best designers and artists in Europe. “However, what we were trying to create here is not an Italian, American, or Chinese style. It’s a more personal ambience and in a global style made by objects dear to our hearts. The apartment is the mirror of the soul of the one who lives in it and we try to recreate ourselves the same thing,” Ciocca said. A series of photographic works of classical female figure sculptures, by Dubravka Vidovic, from 2006, are majestically displayed in the master bedroom. The couple, who had lived with their beloved furniture for many years in Milan, chose some of them to decorate their Shanghai home to maintain their sense of personal taste. The home is very theatrical — the lighting, furniture, artworks — everything is part of the couple’s personal belongings and collections. They have a rather clean backdrop to offset the vivid colors and amazing designs. “My husband is a passionate collector and he chose the furniture pieces. I sincerely shared all his choices and tastes,” said Vidovic. The amazing furniture collection includes pieces from Verner Panton, Knoll, Philippe Starck, Shiro Kuramata and Marco Zanuso. Every piece of designer furniture produces a visual impact together with an emotional message. Vidovic herself contributes to 50 percent of the art collection at home. “My work is often described as poetic, which is probably why my focus was never to find a style, but recognizable poetics in different works. I believe that every item, even the most neglected, can trigger the creation of an artwork,” she said. “What matters most is the ability to restore its meaning through a minimal but essential gesture. It is possible to shift its meaning by adding a tiny fragment. By doing so, even the most humblest item is enriched by a universal voice, opening itself to new possible meanings,” she added. For her, photography is conceived as a transformative space, arranging ephemeral interventions and installations. Before taking shots she captures the contents she wants to communicate. “In the very beginning, I worked mostly with the installations. However, I found creating only art installations very limitative, because it is tied to the time of an exhibition and what left is a photo of the installation in an exhibition showing your work in a documentary way. “I found later in photography a media that allowed me to have the same approach with a specific context, but I can do it out of an art show and express an idea of deviation from reality, something more poetic,” Vidovic explained. 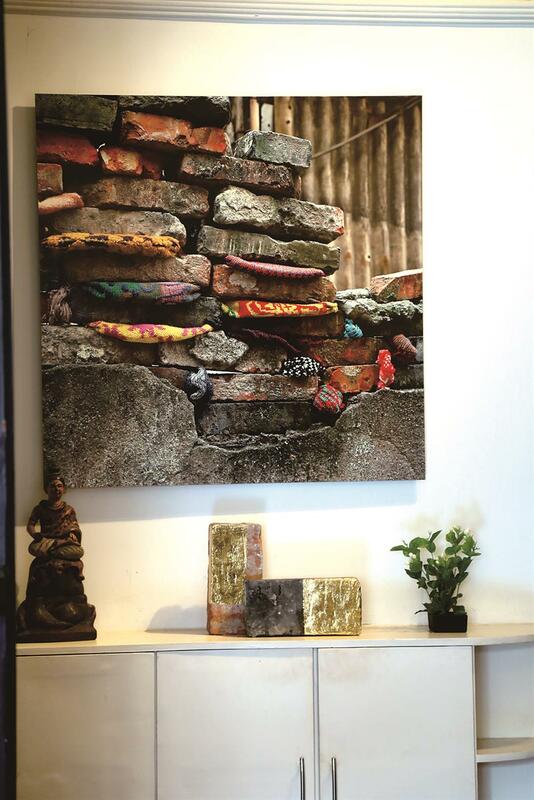 Vidovic’s work reflecting Shanghai life is pride of place at the property’s entrance. A: China itself and many museums and exhibitions of contemporary art. A: My home envelops me with its objects that remind me of all the places I’ve been to. A: I relax when I think I have a lucky life, because I have a great love. A: On an armchair of Marco Zanuso of the 1970s, a little délabré, reminds me of Milan and architect Zanuso with its beautiful furniture. A: I see a huge plant, sometimes with a bird that makes his nest and I think that I am in Dolomites and in fact I’m in downtown Shanghai. A: My life library, which tells my life through the objects. A: We never bought anything in Shanghai.